Hello everybody. Umm, I have PowerPC Mac with Mac OS X Tiger. 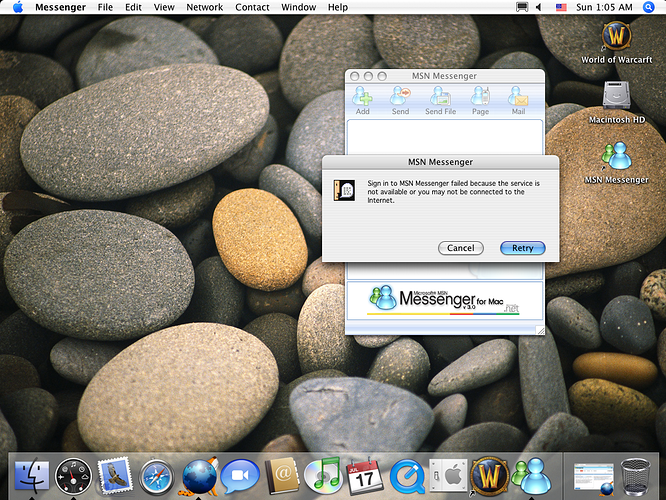 How can i make msn messenger work on Mac OS X 10.4.11? (PowerPC Architecture). I found this http://dity.wikia.com/wiki/MSN_Messenger and tried to patch MSN Messenger 3.0 for Mac following this instruction but it doesn’t work. 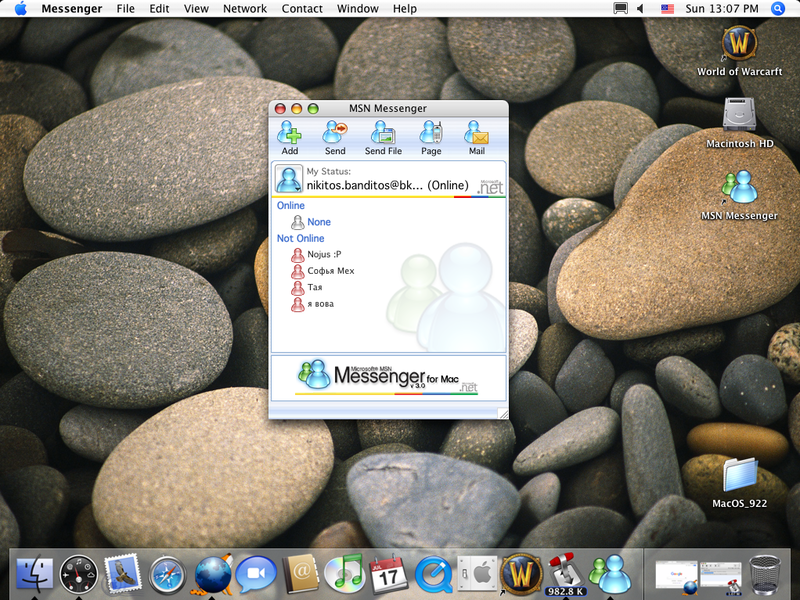 MSN Messenger for Mac works! Press CTRL+O, after Enter and close the window. Then open MSN Messenger and login in. Escargot was never patched for macOS versions. The only way that Escargot would be run on macOS would be Wine (Judging by some people who were able to patch Escargot for Linux distros), but that requires later versions of macOS. Also I tried to patch Mac Messenger 3 and 3.5.2, but login process freezes. Your post is referring about Messenger 3… So that won’t work. 1.3 could work but receving and sending messages won’t work. Messenger:mac 3.0 wasn’t released for Mac OS Classic. In fact, the versions released aren’t separated by Classic Environment/OS X compatibility. Can you at least double-check your claims first? The post was made on December 2018. So what got broken up in that 18 month period? Anyways, are you talking about this? Because that was about 1.3, not 3.0. And 1.3 crashed for me on SheepShaver, too, which I predict is no more that an emulation bug. Regardless, please read what I say before you ramble on. Did you read that post? Yes, but the main focus of the thread was about Messenger:mac 1.3. Also, note how the OP says that 3.x freezes during the authentication process? That just means it isn’t usable due to something wrong happening in the login process, which is easily fixable. Just in case I have Mac OS X Tiger, not classic.